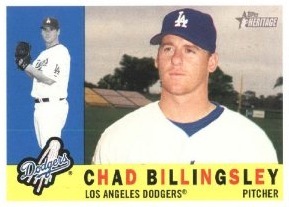 On Saturday, May 14th, Chad Billingsley of the Dodgers lost a one-hitter, thanks to a double, missed pickoff play at second, and sacrifice fly from Melvin Mora. Short story, a 1-0 victory for the Diamondbacks. Chad's the latest pitcher to lose such a great outing, but hardly the only one. Knuckleballer Charlie Hough, in fact, threw a pair of one-hitters for the Rangers and lost both. Here's hoping Chad wins the next one! 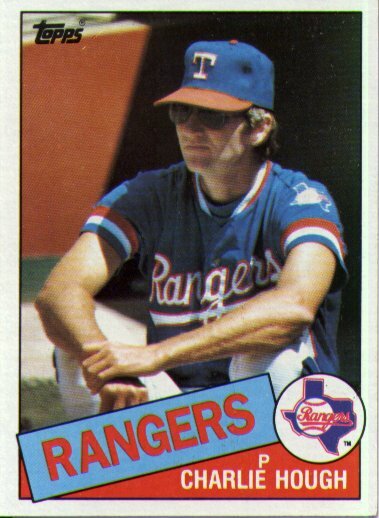 The most infamous 1-hit loss might be Harvey Haddix's 12-inning perfect game, lost in the 13th on an error, IBB, and double.